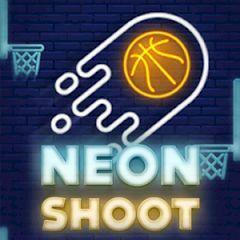 Get ready to play Neon Ball game and train your accuracy. The ball must be deliver to the basket in time, otherwise you lose and will have to start it over again. Collect stars if you have enough time to increase your efficiency and points. Click required amount of times to get the ball high and enjoy the game.